Keep your valuables safe and protected with the J6500 Waterproof Case. The case is made with high impact ABS plastic, which makes it durable, long-lasting and crush-proof, so it won’t break in case you drop it. The reliable stainless-steel hinge and latch pins are corrosion resistant. Pick-n-Pull foam is standard on these cases, but available without. 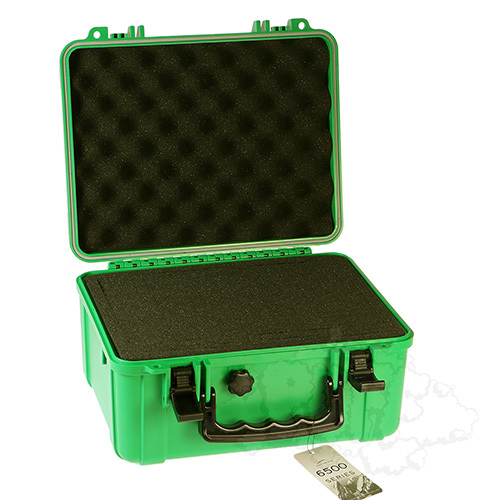 The J6500 Water Case is completed with a pressure valve and locking options for TSA approval. Thanks to the waterproof seal, our Boulder Cases will keep your valuables protected up to 80 feet (24 meters) underwater (IPX6). If a replacement is needed there is no need to worry, because J6500 comes with a lifetime warranty. 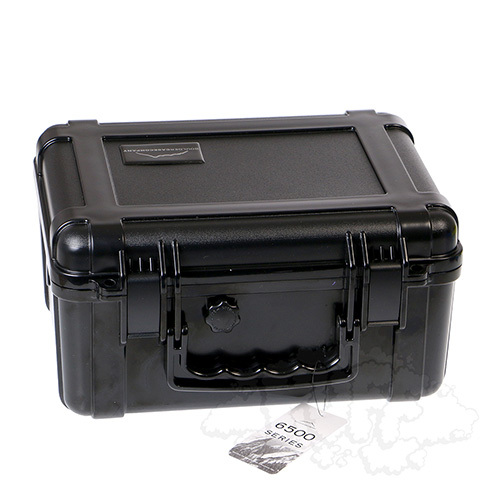 Feel safe knowing your items are protected with the J6500 Waterproof Case. Interior: 11.93" x 9.02" x 5.98"
Exterior: 12.81" x 10.36" x 6.64"
Versatile dry box perfect for carrying personal items: professional camera, handgun with magazines or music equipment.